While Americans across the country waited eagerly for weeks to finally see presidential candidates Donald Trump and Hillary Clinton alone on stage, what viewers received was an unexpected third guest at the Hofstra University podiums: Trump's nose sniffling. 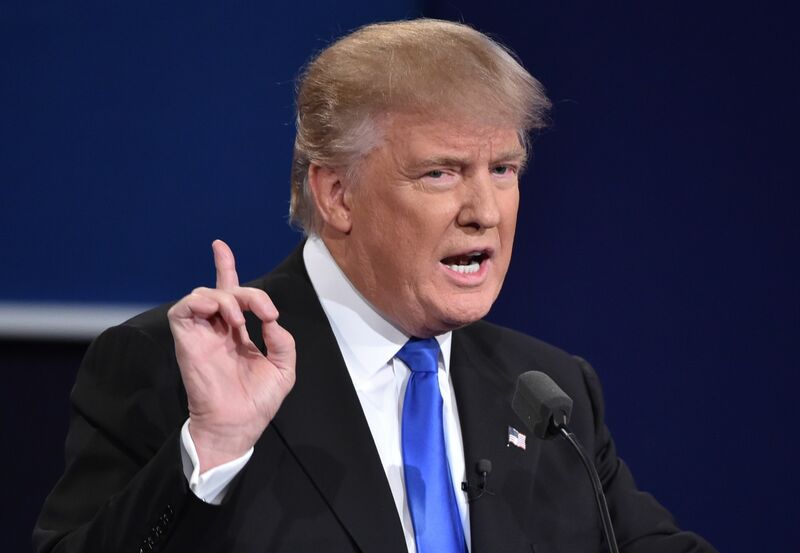 From the start of the candidates' back and forth, the Republican nominee's responses were interrupted by more than a few drawn-out audible inhales. And just when Trump seemed to be able to keep the noticeable breathing at bay, the Trump sniffle made strong resurgences. Here are the best memes and tweets from the #TrumpSniffle hashtag. Before Trump could even make it halfway through his two-minute allowance on the subject of jobs in America, the billionaire found his speaking time being cut off not by his opponent, but rather his own efforts to prevent a dribbling nose on camera. No one wants to stand before a crowd appearing very much in need of a tissue, probably even less so when that crowd is in the realm of 100 million people. While the discernible sniffling was likely a bummer for Trump's camp, the feelings about the #TrumpSniffle among viewers across the country were of every variety. Could it be that Disney's version of karma is affecting Trump's debate performance? 2. What If It Was #HillarySniffle? It was not so long ago that the topic of conversation was Clinton's health, and whether or not the Democratic candidate would be up for the job. Does #TrumpSniffle mean he can't be president? Could it be that Trump is trying to explain his plan for the economy? Sometimes it's hard to breathe without your oxygen-providing mask. There's no discounting the greatness of that sniffle, no matter which candidate you side with. The Putin signal sniffle is a strong theory, but it's unlikely the secret messages could be all that varied. Maybe Trump's just saying hello — over and over and over. So this hypothesis on Trump's sniffles may be a bit far-fetched, but it sure is fun to think about. With sniffles of such different qualities, a wall between the two nations seems even more necessary. It's all in the report by Trump's doctor, right?